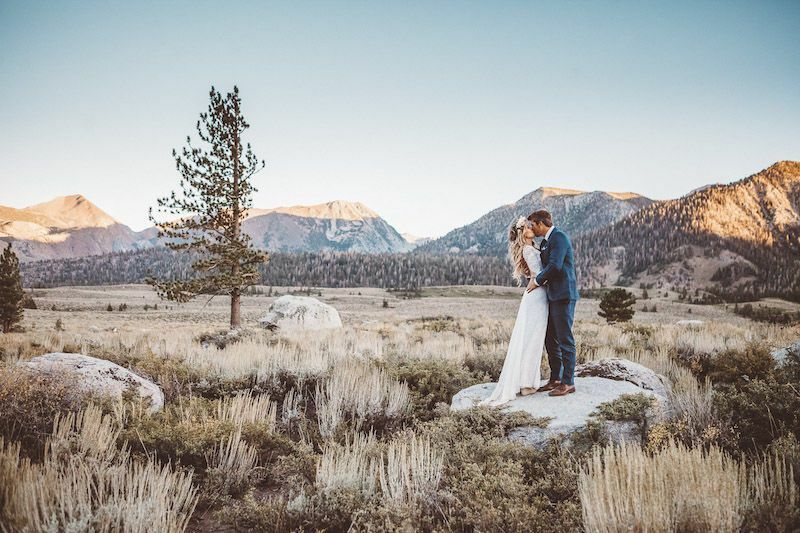 Wedding Jukebox is a professional DJ production company located in Mammoth Lakes, California. Keeping everyone entertained, DJ CDS plays the best music from custom playlists planned and created by the couples beforehand. The music starts 20 minutes before the event, setting the mood of the venue and giving guests a warm welcome. 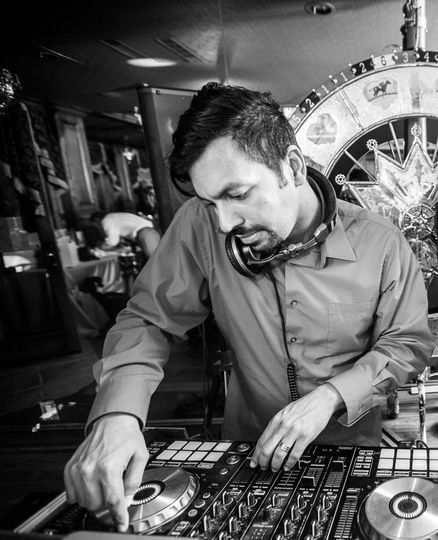 Channa De Silva, the lead DJ and founder of Wedding Jukebox, has been DJing since 2001. Providing music entertainment for large and intimate weddings locally for more than five years, he is also a classically trained pianist who knows music and the wedding entertainment industry inside and out. Channa and his team were great. In a mountain town it is hard to find quality vendors sometimes, its slim pickings! But Channa was incredibly responsive and helpful every step of the way. 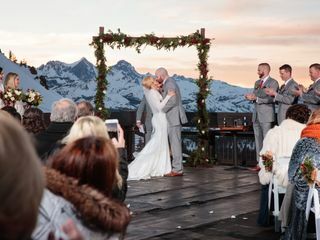 He worked well with the mountain staff and I had no worries that he would execute the day of, from ceremony to reception. He even coordinated directly with my dad on a surprise song for our father daughter dance, it was really special. I also had great reviews from my guests. I would definitely use him again and would recommend him to anyone. Channa is AWESOME! He was super easy to work with, brought all of his own equipment, including a generator, and even picked up a screen for me from someone else. He kept the dance floor packed the entire night, and played everything we requested plus a ton more. He's professional, easy going, fun, and totally worth it! I highly recommend using him for any party you're showing! DJ Channa is the best! 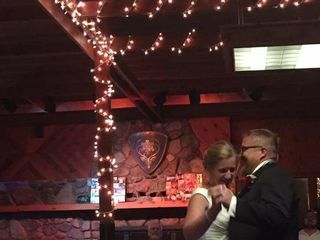 Our wedding night was so much fun! Our dance floor was filled with friend and family all night, many of which we had never known as the dancing type! Our flower girls were in the air (jumping) more than they were on their feet. So many great memories, a great celebration after getting through the stressful parts of the big event! DJ Channa was easy to plan with, professional, and an overall great person. I've been to another wedding after ours where he was the DJ. Same thing, loads of people having a good time and great tunes. A great choice if you aren't the type to want to plan out every detail and song, Channa knows what to do! Channa is a very talented DJ and musician. He has good energy, knows how to get the party started, and is great at directing the crowd! We had the pleasure of helping Channa and his wife plan their fabulous wedding a few years back, and are so grateful that we get to work with him now at so many weddings/events. He really takes the time to get to know his clients, so he can come up with a playlist that will keep people dancing all night long!